This beautiful run is calling all runners. 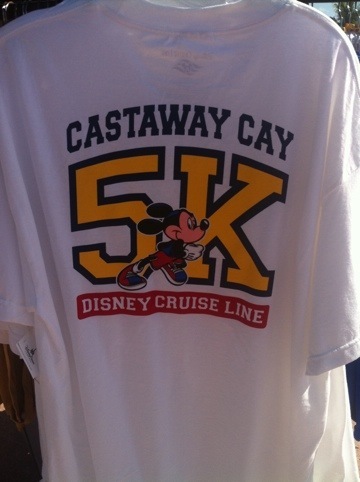 Add the Castaway Cay 5K to your “must do” list for your Disney Cruise adventure. This was the perfect start to my day to get my run done and my sweat on before a long day of relaxing in the sun, sand, and sea. Plus getting a great run in certainly helped lower the guilt about all my yummy dining indulgences during Disney Fantasy preview cruise vacation. You know I love running and NEVER leave home without my running shoes. It was extra exciting to be able to have a group of people to do an organized run with while on vacation – and even cooler to do it runDisney style as I’m now slightly obsessed with runDisney after racing the incredible Disney Princess Half Marathon last month. We met on the ship before we all disembarked together at about 9:00 AM. 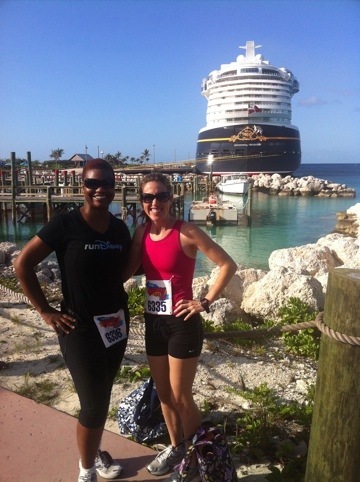 Then we took a nice leisurely walk on Castaway Cay to the race start which gave us a nice chance to loosen up and enjoy the views of the water. The race was totally a fun run but it was officially a a 5K as runDisney gave us all official race numbers – which made for a great souvenir – and there was an official clock to time the race as well which was nice too. The weather was steamy as expected with all that Caribbean humidity and the course was 100 % flat which was a wonderful. We basically ran 2 loops on the bike path and headed out to Serenity Cove, the adult only beach, on the main flat road on Castaway Cay. 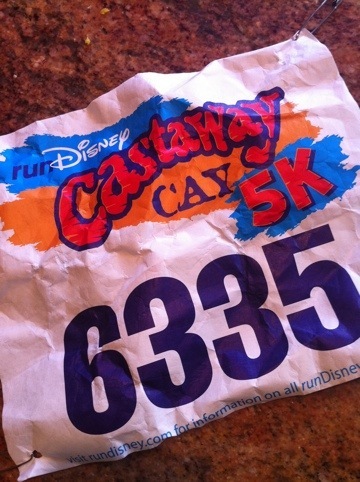 I’ve visited Castaway Cay 2 times before, but somehow always missed the memo that there was a fun run on the island first thing in the morning. Now that runDisney is partnered up with Disney Cruise line to make this 5K run an official event, it was promoted much better via our daily activities guide – and I’m so happy I didn’t miss the memo this time. Now I’ve just got to find a way to run a 1/2 Marathon at Disneyland – it’s on my bucket list as I’ve never even been to Disneyland before and I can think of no better way to do it than to runDisney there! fun thing to do first thing in the morning. Gets you moving!!! Super fun! 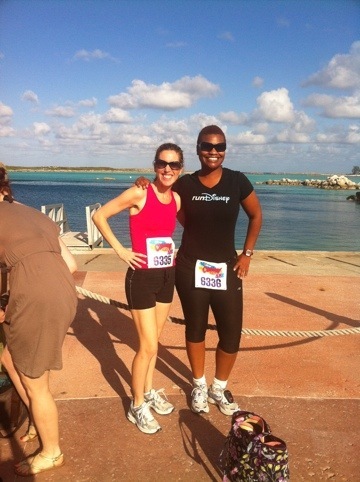 Wish I had been there to run alongside you (or behind you, really…ha!). I bet the views were breathtaking. Oh joy- one more addition to the Disney Bucket list (or book). 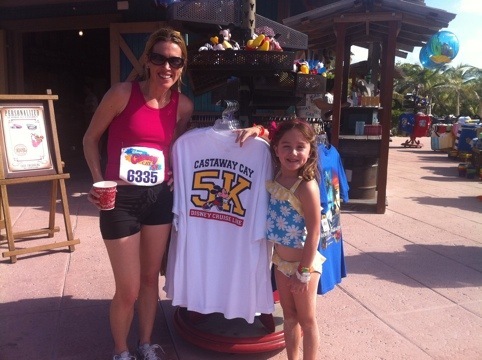 Can’t wait to get back to Castaway Cay and runDisney! !